Several years after becoming an insurance agent, David Imschweiler decided on a career change, so he got his commercial driver’s license and became a truck driver. The new career didn’t last long, and he returned to the insurance industry about six months later. Imschweiler is the owner of DJI Insurance Agency, with offices in Maxatawny Township, Pa., and New Tripoli, Pa. He continues to drive part time, getting on the road a handful of times a year. His time as a trucker has proved invaluable when dealing with clients who drive commercial trucks for a living. Because he’s been in their shoes, he said, he is able to relate to truckers in a way most insurance agents can’t. 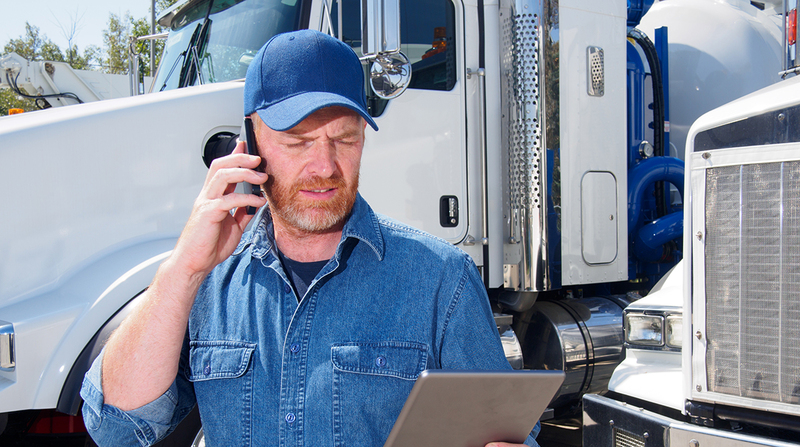 Because of the complexities involved in insuring tractor-trailers and other large, commercial trucks, Imschweiler and other insurance agents agree it is important for truckers to use an agent who is familiar with the industry. Insuring a large, commercial truck, such as a tractor-trailer, is much more complicated than insuring an automobile, or even something like a boat, trailer or recreational vehicle. There are many factors that have to be taken into consideration, such as weight, type of cargo, operating distance and whether the vehicle is owned by an individual or a company. Additionally, there are different types of insurance that truckers must consider. They include trailer interchange insurance, which covers the insured’s legal liability for damage to a trailer they are pulling that is owned by someone else, and cargo insurance, which covers property in transit. “Depending on what they’re hauling and how far they’re hauling it, it can get quite complex as to what the rules are and being able to make sure their insurance satisfies who they’re hauling that freight for,” said David Ross, president of American Insuring Group Ltd., Shillington, Pa.
Dale Rothenberger, general manager of Advocate Insurance, Muhlenberg Township, Pa., agreed. In addition, if a driver owns a truck but hauls cargo for a company, he would have something called bobtail insurance. Imschweiler described that as basically commercial auto insurance for the tractor. “Once he hooks up to that trailer to haul something, now he’s under the company who has contracted through him to haul, and as long as he’s under the load, he has the coverage,” he said. Given all the complexities, it is beneficial for truckers to find agents who are familiar with truck insurance. Ross said he has picked up clients who were paying too much for insurance through a broker who wasn’t familiar with all the intricacies of trucking insurance. Rothenberger said truck drivers should go to someone who at least has some knowledge of truck insurance, if not direct experience. “It’s available through most agencies, but the complexity is much more than just what we would experience getting our automobiles insured,” Rothenberger said. Imschweiler said there have been numerous instances where truckers who had “dirt-cheap insurance” came to him and wanted it even cheaper. After looking at their policies, he said, he realized they weren’t even insured properly in the first place. Insurance agents who want to gain extra expertise in insuring commercial trucks can earn a designation called transportation risk specialist. The designation is given by the Fort Myers, Fla.-based Motor Carrier Insurance Education Foundation, a nonprofit organization designed for and dedicated to providing education to insurance professionals with a focus on the transportation industry. There are about 250 insurance agents and underwriters who have the designation. The insurance education founder Tommy Ruke expects about 50 more to get it this year. To earn the designation, insurance professionals must prove that they have been providing service to motor carriers for at least two years, and then they must complete several online courses and attend an annual conference. Afterward, they must attend the TRS annual Motor Carrier Conference, a TRS advanced seminar or an approved advanced trucking seminar once every two years to keep the designation. “It’s difficult to attain in the sense that you have to attend our conference and pass a test on basic insurance knowledge,” Ruke said, who previously developed and taught a course on trucking insurance for the Certified Insurance Counselors program, beginning in 1983. Imschweiler said he earned the risk specialist designation about two years ago. It was a rigorous course and took a substantial amount of time and effort to earn the designation.